Fox News has been making enemies with Radiohead and their follwers for some time now, so it only makes sense that the folks at CNN are fans of the band. 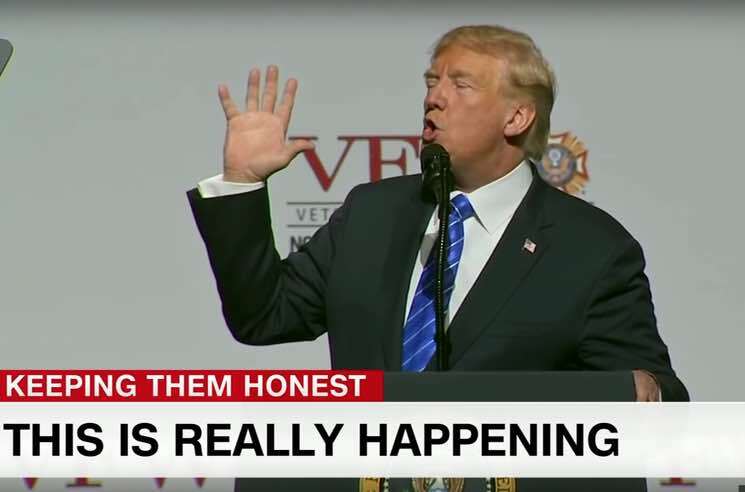 Reporter John Berman proved as much yesterday (August 30), quoting the UK band in a segment denouncing the President Trump's distaste for the truth. After showing a clip of the president berating reporters as "fake news" and telling the public to "just remember what you're seeing and reading is not what's happening," Berman countered, "What you're seeing and what you're reading is happening, no matter how many times the president says you shouldn't believe actual footage of him talking or books." He then fittingly pulled a line out of Radiohead's "Idioteque," and declared: "In the words of Radiohead, this is really happening." The lyric appears around the 3:35 mark. Watch the segment below.